Team GB sent a strong contingent of 366 athletes, competing in 25 different sports, to Rio for the 2016 Olympic Games. Among them was 21-year-old Old Whitgiftian Joe Choong (2008-13), who was one of four men and women selected to take part in the Modern Pentathlon. 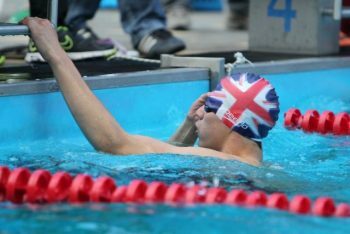 Choong, who now studies at Bath University, secured his place in the team by reaching the qualifying standard with a seventh place finish at the European Championships in 2015. The former European Under-16, GB Open and British Junior champion appeared to be hitting peak form at just the right time, finishing fourth in a World Cup Event in April. With that being just four months before the Olympics, the signs were positive for the young athlete. One of the youngest competitors in the competition, Choong was up against several seasoned veterans and many world-class athletes. This didn’t seem to affect his performance and he got the games off to a great start, sitting in eighth place after the fencing phase. Next up was swimming and things got even better for Joe. Teammate James Cooke set a new Olympic record to win the round but Choong wasn’t far behind in third place. 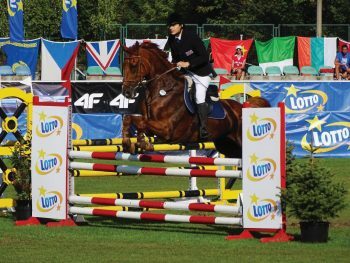 A good Fencing bonus phase was followed by a solid Show Jumping performance and the Old Whitgiftian found himself occupying the silver medal position, with just one phase to go. Things were going great and a surprise medal looked on the cards. Unfortunately, a mix of inexperience, pressure and tiredness led to a disappointing shooting performance. This slowed him down and he slipped down the field, with more experienced athletes overtaking him. 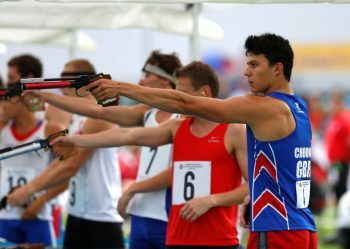 Choong didn’t give up and managed to finish in tenth place overall, which put him as top British male in the Pentathlon. This was four places above Cooke, who had won Gold at the World Cup a few months before, and only 17 points behind the bronze medal winner. It was his best ever finish in the combined event and there were plenty of positives to be taken from it. He may have missed out on a medal but it was a performance full of talent, tenacity and brilliance of which he and the whole of Great Britain can be proud of. This year, at the Olympic games and in the lead up to it, he has shown the world he is an extremely talented athlete with a great future ahead of him. 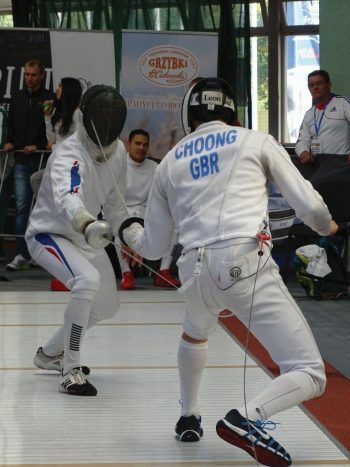 Joe Choong is definitely a name to watch out for in the world of Modern Pentathlon, with the potential to be a true great in the sport. Who knows, in four years he may even be the Olympic champion.